Ahhh, obesity; one of the most common canine (and feline!) conditions and the one I am most frequently compelled to write about. Surprisingly, few pet parents realize just how threatening obesity is to their pet’s health, so I thought I’d spend a little time on this one. Dogs carrying even a few extra pounds of weight have extra demands put on virtually every organ of their bodies. When these organs are overloaded, disease, and sometimes even death are the consequences. The ability to exercise, even to breathe, is diminished in overweight dogs. They also may become more irritable due to their discomfort and possible pain. A sad but very real truth is that dogs do die at a younger age than those maintained at an optimum weight. The health risks to overweight dogs are serious, and every dog owner should be aware of them. We owe it to our pets. · Cancer - Obese dogs tend to have an increased risk of developing certain types of tumors and cancers. · Diabetes - Obesity causes an increase in the secretion of insulin in response to the increased blood glucose level in the overweight dog. 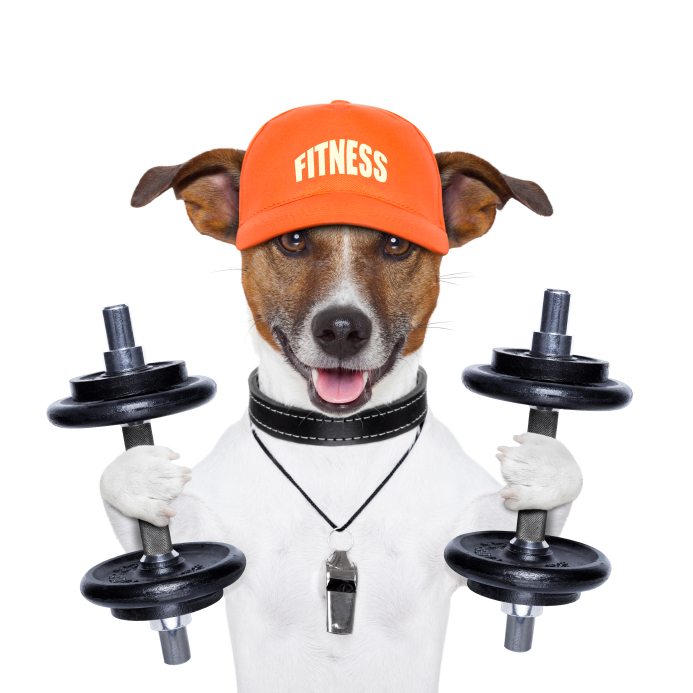 · Damage to joints, bones and ligaments - Studies have suggested that approximately one-quarter of overweight dogs develop serious joint complications. The bones, joints, muscles, and associated tendons and ligaments all work together to give the dog efficient mobility. Dogs that carry excess weight can develop arthritis and hip dysplasia, or their already-present hip dysplasia can become more severe. One of the ligaments in the knee is already subject to wear and tear when a dog is of normal weight. Extra weight creates extra tension, often tearing the knee’s ligament and requiring that surgery to repair it. Long-backed, short-legged dogs such as dachshunds, basset hounds and mixed breeds of this body type are prone to develop slipped discs, which are not only very painful, but often, permanently crippling. Carrying extra weight increases the chances that they will develop this condition. · Heart disease and heart attacks are common health risks caused by obesity. The heart has an increased work load since it must pump additional blood to excess tissues. The strain of the work can lead to congestive heart failure. · Decreased energy and stamina - Again, extra weight forces the heart, muscles, and respiratory system to work harder. Harder work is exhausting, and rest provides the most comforting relief. Heat intolerance is also due to overweight conditions and can further aggravate your dog’s system. · Liver function is an obvious risk due fat build-up in the liver. · Constipation and intestinal gas are often results of obesity. · The impact of obesity on immune system function is well-known. Extra pounds lead can lead to resistance to viral and bacterial infections. · Even skin and coat disorders are often the result of obesity. The skin forms different types of oils which are the perfect breeding ground for infections. · Increased surgical and anesthetic risk - Increased fat in the tissues makes surgery more difficult, as fat obscures the surgical area. Because anesthetics are taken up by fat, an overweight animal will also take longer to come out of anesthesia because the anesthetic must first be removed from the fat. Many anesthetics are broken down by the liver. A fatty liver will not be as efficient at breaking them down, leading to poor circulation of oxygenated blood to the tissues and even cardiac arrest. A dog’s weight is best managed as we manage our own: by decreasing the amount of food they eat, introducing fresh vegetables and essential fatty acids into their diet, holding back entirely on treats until they reach a desirable weight and then, feeding only healthy, low-calorie/low fat treats and lastly, increasing their level of exercise.